Leeds Fans United chief executive Dylan Thwaites believes it is the only group to which Massimo Cellino is willing to sell his majority stake. The Italian announced on Friday that he was willing to agree a takeover with supporters and forgo any profit. Thwaites said: "Massimo was absolutely clear that he was only selling to fans. "It's Leeds United - there are always rumours. But I think it would be crazy for anyone to seek to steal this deal from the Leeds fans." He continued: "The level of hostility generated would be a death blow to any sensible bid plan." 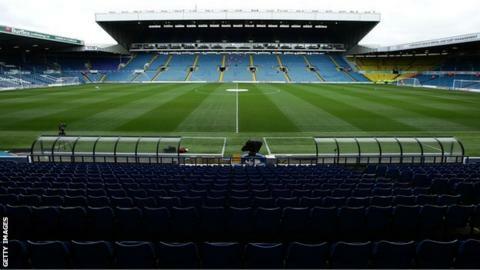 Cellino, who is still going ahead with his appeal against a Football League ban after failing its owners' and directors' test for a second time, told BBC Radio Leeds he was "sad and embarrassed" about how his ownership of the Championship club had turned out. Leeds are currently 19th in the Championship after only two wins from their opening 14 games, with Steve Evans recently becoming the fifth head coach appointed since Cellino took over the club in April 2014. Thwaites is confident LFU, which was launched in April with the aim of buying a minority stake in the club, will get exclusivity on the deal in the near future. "He was adamant that he would only sell to Leeds fans," he said. "This clearly gives us an exclusive position. Of course, as professionals we need this signing and we expect to have that shortly."